Moscow, December 30, Interfax – Talgat Tajuddin, the head of the Central Muslim Board of Russia, has cautioned against attacks on Muslims in retaliation for recent terrorist attacks. “Peaceful, good Muslims should not become the target of so-called ‘acts of retaliation. 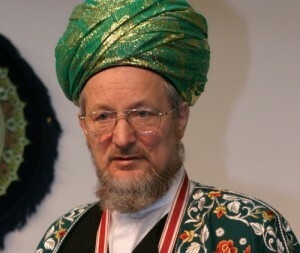 People who follow traditional Islam have no relation to extremists,” Tadzhuddin said during a meeting with Volgograd Mufti Ilyas Biktimirov in the press service of the Central Muslim Board on Monday. He called on the law enforcement agencies, authorities and residents of Volgograd to prevent acts of religious and ethnic conflict in the region. Police posts have been created near every Volgograd mosque due to the recent events in the city, the Central Muslim Board said.